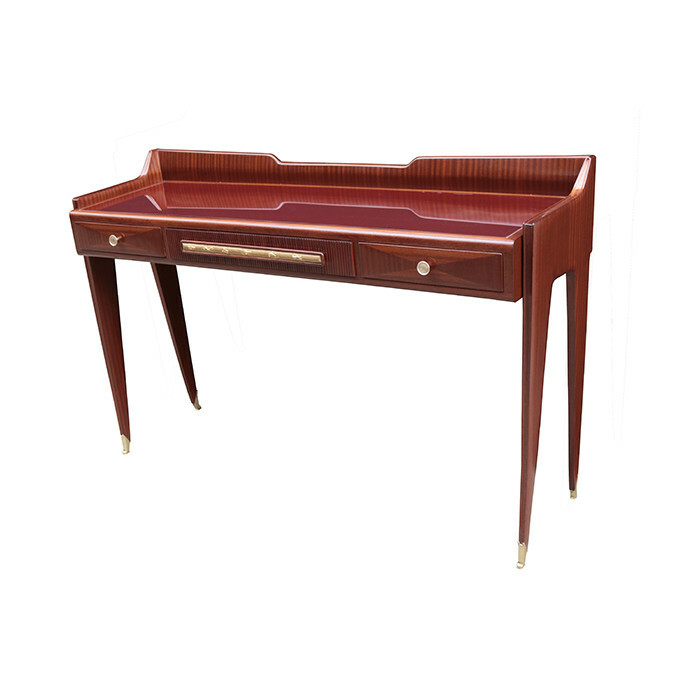 An Italian Mid-Century console table. Mahogany, with patinated brass pulls and sabots , carved central gilt drawer pull, and a glass top. Dimensions: H:35½ W:55¼ D:16½ Inches.